The Cooper Union received $321,671 in funding from the New York State Energy Research and Development Authority (NYSERDA) for two energy efficiency projects. Through the initiative of Associate Professor and George Clark Chair of Mechanical Engineering Melody Baglione, the funding is connecting Cooper Union students, facilities staff, and an energy consultant in a multifaceted initiative to increase Cooper Union’s energy efficiency and reduce our carbon footprint. 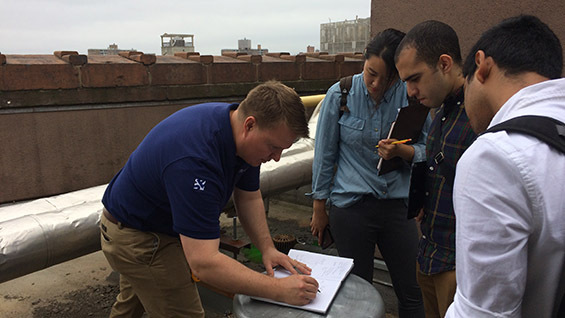 A Facilities Training and Curriculum Development project with $167,671 in NYSERDA funding engages Smith Engineering as an energy consultant, who will develop and deliver a combination of classroom and field training for our facilities staff and set up a new automated Preventative Maintenance system. The funding also supports the development of a new energy efficient building systems course collaboratively taught by Professor Baglione and energy consultant, Travis Smith. 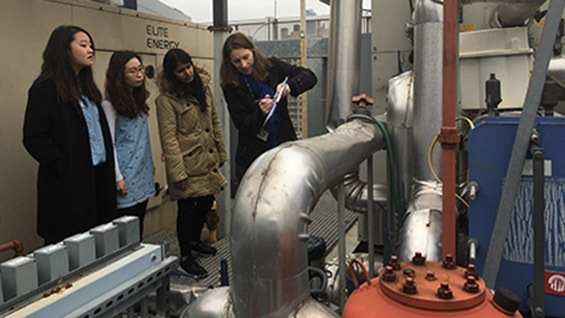 A REV Campus Challenge Technical Assistance for Roadmaps grant of $154,000 supports student interns working alongside Smith Engineering and Professor Baglione to develop a plan for The Cooper Union to achieve its 40% carbon footprint reduction target by 2030. The funding supports implementing a building data historian and energy analytics system for identifying energy saving opportunities; level 3 ASHRAE building energy audits; and developing an energy master plan and a carbon action plan. 41 Cooper Square is the first academic building in New York City to earn a LEED-platinum certification. 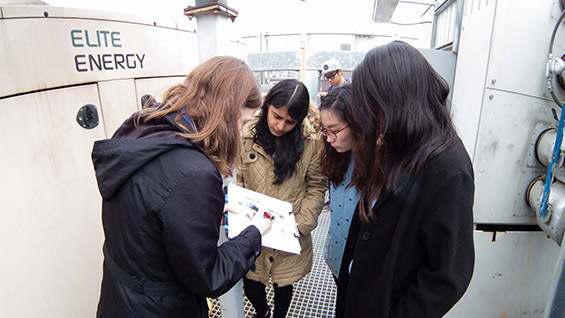 Professor Baglione’s work leverages 41 Cooper Square as a learning laboratory, exposing students to practical applications of theory they learn and to research projects related to state-of-the-art building controls and energy efficient operations. 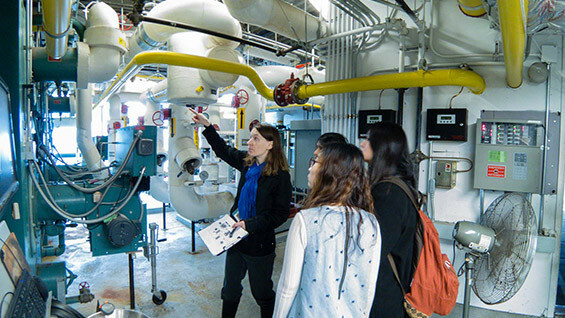 Previously, Professor Baglione has received funding from the National Science Foundation to develop new learning materials and student projects related to our HVAC and building management systems.